Innovative Detective in a good solid mystery. 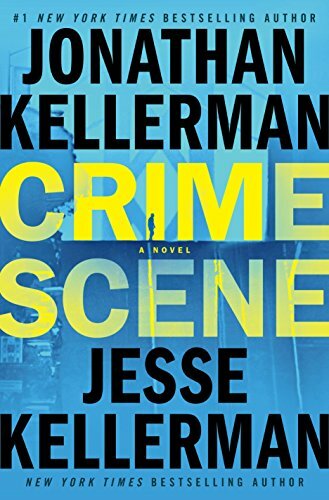 Crime Scene is the first book in a new series by Jonathan and Jesse Kellerman. It features sworn Coroner Division Deputy Clay Edison. Clay’s job is to investigate the scenes of deaths to determine the manner of death. There are only five choices: homicide, suicide, natural, accidental and undetermined. Clay is called out for Walter Rennert, who appears to have slipped on the stairs inside his home. It looks accidental to both Clay and Berkeley Police Officer Schickman so why does Walter’s daughter keep insisting it is murder? The characters and dialogue in this novel are excellent. Each person had their own voice and motivation. The plot had a couple of twists that were surprising. My only complaint was that I wanted more details about Clay’s other cases. I wanted to learn more about how coroner investigators do their work and decide whether an autopsy is required or not. Hopefully, this will be addressed in forthcoming books in the series. I would recommend this book to fans of unconventional police procedurals like John Sandford’s Virgil Flowers and CJ Box’s Joe Pickett. Even though Clay is technically not with the police, it has the same atmosphere. Thanks to the publisher, Ballantine Books, and netgalley for an advanced review copy of the book.